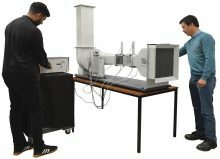 The complete starter set includes TecQuipment’s Subsonic Wind Tunnel (AF1300), the Basic Lift and Drag Balance (AF1300Z) and the Three-dimensional Drag Models (AF1300J) - all parts needed for experiments in aerodynamic drag. 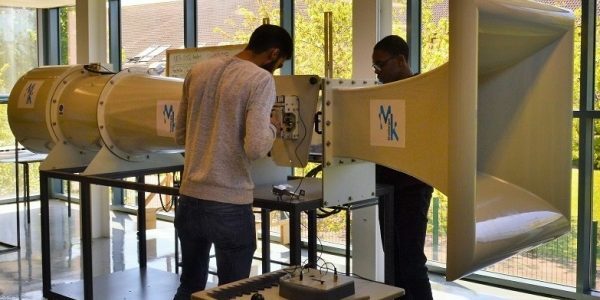 This compact wind tunnel provides accurate results and is suitable for undergraduate study and research projects. 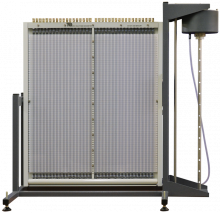 TecQuipment offers a range of additional and optional models and instrumentation to extend the experiments, including a data acquisition system (VDAS®). Air enters the tunnel through an aerodynamically designed effuser (cone) that accelerates the air linearly. It then enters the working section and passes through a grill before moving through a diffuser and then to a variable-speed axial fan. The grill protects the fan from damage by loose objects. The air leaves the fan, passes through a silencer unit and then back out to atmosphere. The working section of the tunnel is a square section with a clear roof, sides and floor. The sides are removable. The floor and each side panel has a special position to support the optional wind tunnel models. Supplied with the wind tunnel are a protractor and a model holder to support and accurately adjust the angle of any models fitted. Two traversing probes fit on the working section. One is a Pitot-static tube and the other a standard Pitot tube. 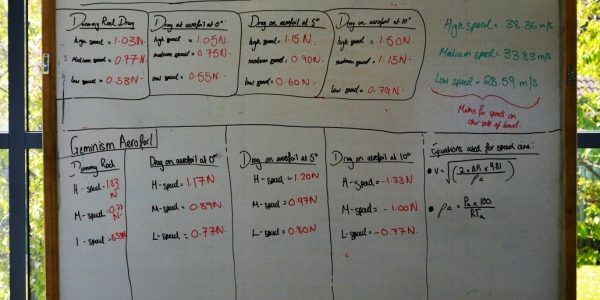 They fit upstream and downstream of any models and connect to the manometers of the instrumentation unit (or other optional instruments) to show pressure. A metal frame supports the wind tunnel. The frame includes lockable castors for convenient mobility. 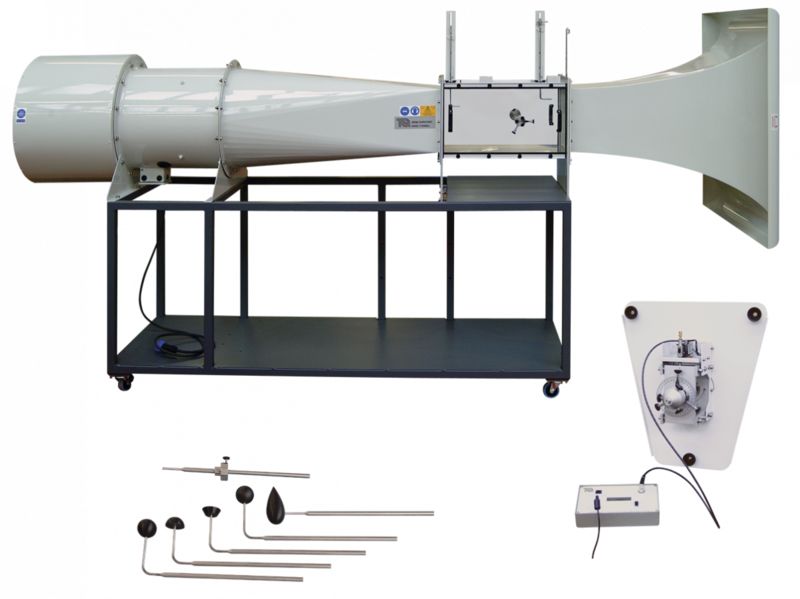 Optional wind tunnel instruments can connect to TecQuipment’s Versatile Data Acquisition System (VDAS®, not included). VDAS® allows accurate real-time data capture, monitoring, display, calculation and charting of all relevant parameters on a suitable computer. A simple-to-fit balance that mounts on the side of the wind tunnel working section. This balance holds the models in the working section and measures the lift and drag forces on the models, created by the air moving past them. The balance also works with other optional models. The balance includes a digital display unit to show the forces. 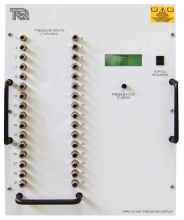 The display can connect to TecQuipment’s VDAS® to log experiment data on a suitable computer. A set of models, each with a different shape featuring the same frontal area for direct comparisons. The models fit in the wind tunnel working section, held by the balance to allow students to see how shape affects aerodynamic drag. The models include ‘classic’ aerodynamic test shapes including a smooth sphere, a dimpled sphere and a streamline shape. This Starter Set includes parts for experiments in three dimensional drag due to different body shapes and surface dimples. A cylinder model with a single pressure tapping point for use with the AF1300 Subsonic Wind Tunnel. 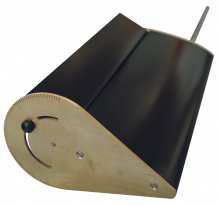 A 150 mm chord NACA2412 unsymmetrical section aerofoil with 300 mm span and adjustable flap for use with the AF1300 Subsonic Wind Tunnel. A 150 mm chord 300 mm span NACA0012 aerofoil with pressure tappings for use with the AF1300 Subsonic Wind Tunnel. 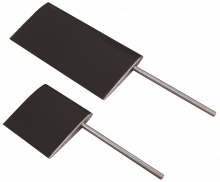 A set of two aerofoils both of NACA0012 profile and 150 mm chord for use with the AF1300 Subsonic Wind Tunnel. A 100 mm diameter flat plate for use with the AF1300 Subsonic Wind Tunnel. A flat boundary layer model to illustrate the phenomena of boundary layer development and separation. For use with the AF1300 Subsonic Wind Tunnel. 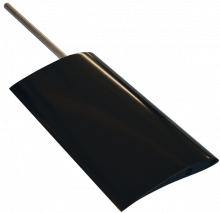 An S1210 profile aerofoil of 150 mm chord for use with the AF1300 Subsonic Wind Tunnel. A model aircraft with low wing configuration for use in TecQuipment's AF1300 Wind Tunnel. A model aircraft with high wing configuration for use in TecQuipment's AF1300 Wind Tunnel. A tilting 36-tube manometer for use with the AF1300, AF1450 and AF1600 Subsonic Wind Tunnels, other TecQuipment products, or as a general purpose instrument. A three-component balance designed for use with the AF1300 Subsonic Wind Tunnel. Digital differential pressure measurement and display unit for use with TecQuipment’s Subsonic Wind Tunnel (AF1300). The 32-Way Pressure Display Unit displays up to 32 different pressures from models Pitot-static tubes and other measuring instruments fitted to a wind tunnel. 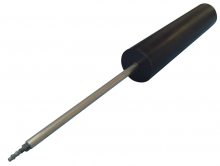 A traversing Pitot-static tube with electronic position measurement for use with TecQuipment’s Subsonic Wind Tunnels (AF1300, AF1450, AF1600). 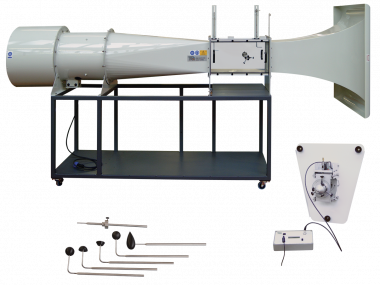 This smoke generator and probe is an optional ancillary to TecQuipment's AF1300 Subsonic Wind Tunnel to allow the observation of airflow in subsonic wind tunnels and other airflow situations. An open circuit suction subsonic wind tunnel with a working section of 305 mm by 305 mm and 600 mm long. 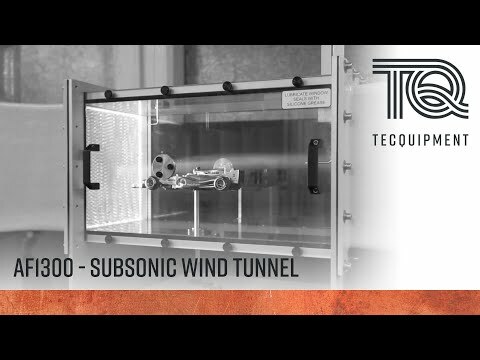 An open circuit suction subsonic wind tunnel with a working section of 450 mm by 450 mm and 1000 mm long. Package includes the Aerofoil with Tappings, a Three-Component Balance, two Differential Pressure Transducers, a 32-Way Pressure Display Unit and data acquisition (VDAS-F).